Alexa Shrugged: URGENT BREAKING NEWS!!! I know I, along with millions of others, will never forget where I was when I first heard the news that Puff changed his name to P. Diddy. Or was it Puffy to Diddy? Or P. Daddy? Anyway, I'm sure this will be the last time I am shocked and saddened by the passing of another Sean Jean Puffy P. Diddy Daddy Combs name! 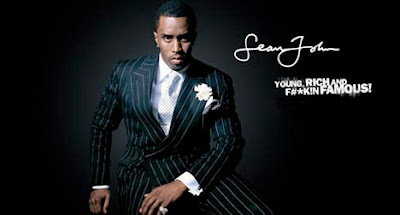 The artist formerly known as Puff Daddy, Puff, Puffy, P. Diddy and Diddy has decided to change his name yet again. The rap mogul - real name Sean Combs - now simply wants to be known as Sean John, the name of his US clothing and fragrance brand. He says: "I have always evolved and taken a different name each time. It's nothing unusual where I come from. "Right now I want to be Sean John because that's where I am." Retreat? Hell, we just got here! Kennedy turns his back on ALL women! Remember the good old days of KGB beatings? On the lighter side . . .
Scoop your poop for Jesus! Two Daily Mail horror stories!